Understanding the botany of plants can help you become a more successful and satisfied gardener. This is a guide about basic botany for gardeners. Plants are truly amazing. They create the oxygen we breathe, provide us with food, beverages, clothing, products for shelter, and medicines. Botany is the scientific study of plants. 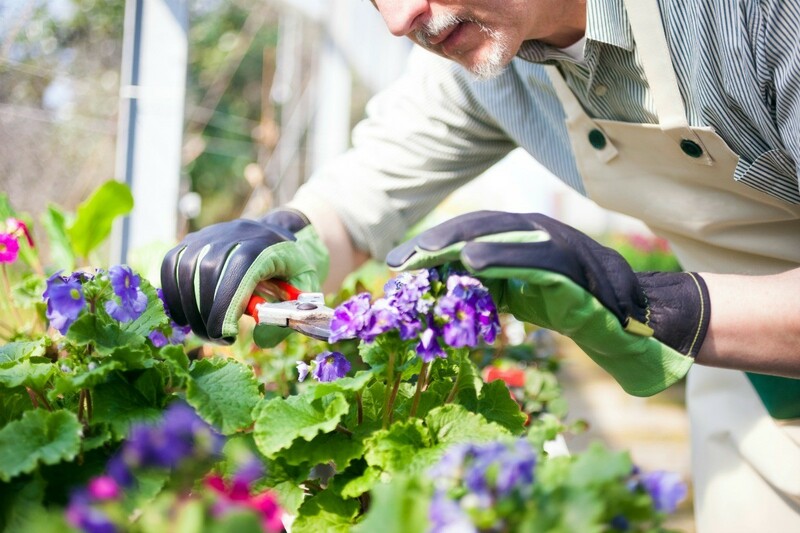 As gardeners, having a basic understanding of how plants function can help us grow bigger vegetables, more colorful flowers, and healthier lawns. They are its "feet", anchoring the plant to the ground to keep it from falling over. They act like straws, absorbing water and nutrients from the soil though tiny hair-like projections. Then they send them up to the leaves via the stems. They store water and food (sugars and carbohydrates) until the plant needs them. Sometimes for long periods or in large portions, like in the case of bulbs. Because a plant's roots perform so many vital functions, it's important to pay attention to their health (especially since we can't see them). Plants have either a taproot (such as carrots) or a fibrous root system (such as turf grass). One of the plant stem's main functions is to provide support, lifting the leaves toward the sun and toward fresh circulating air. Stems also act as the plant's plumbing, or circulatory system. They bring the leaves the raw materials gathered by the roots, and then transport the food manufactured by the leaves to other parts of the plant so it can grow. It's the cells within the stems that actually transport the fluids. The cells that move water are called the xylem cells and the cells that transport food are called phloem cells. Stems can be herbaceous, like the bendable stem of a daisy, or woody, like the trunk and branches of a tree. Often it's the seeds, leaves, and fruits of plants that we eat, but in the case of asparagus and broccoli, we grow them for their edible stems. Leaves are the main food-making factories of green plants. They are designed to capture sunlight, which the plant uses to manufacture food through a process called photosynthesis. Sunlight provides the energy for this activity, which is in reality a chain of chemical reactions. In this process, carbon dioxide and water in the presence of light energy and chlorophyll (the green pigment in plants), is turned into glucose (sugar), the food source used by most plants. Leaves not only manufacture food, they can also absorb it. This is where the technique "foliar feeding" comes in-feeding plants by applying liquid fertilizer directly to their leaves. Plants "breathe" with their leaves. In plants, respiration takes place on a cellular level and involves the exchange of oxygen and carbon dioxide. Plants mostly do this through their leaves, which in some ways are similar to our skin. 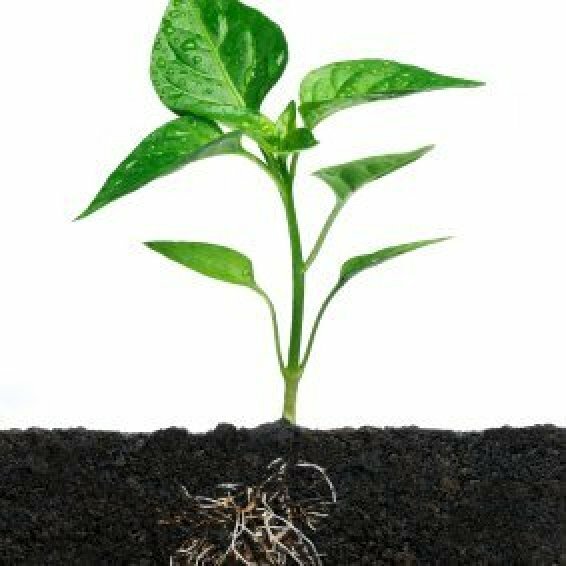 The roots of a plant also need oxygen, which they take in from the air spaces in the soil. This is why if you give plants too much water, or the soil doesn't drain properly, you can kill the roots by drowning them. So why don't plants that normally grow in water or wet soils suffer the same fate? These plants are equipped with air spaces in their roots that allow them to "breathe" under water. All parts of a plant are constantly growing. In the initial stage of growth, most seeds wait to germinate until three conditions are met: water, correct temperature (warmth), and a suitable substrate (such as soil). During the early stages of growth, the seedling relies on the food stored within the seed, until it is large enough for its own leaves to begin making food. The more leaves a plant has, the more food it can make, and the more it can grow. The most dramatic growth occurs at the tips of the roots and at the tips of the stems (the terminal buds). Annual plants grow to maturity in one season, reproduce, and then die. Biennial plants take two years to complete their biological cycles. The first year they grow roots, stems and leaves. The second year they flower and then die. Perennial plants keep growing season after season, while also producing new plants. Regardless of their life cycles, it is important to keep a plant's growth vigorous during the full course of its normal life. One of the ways plants reproduce is by means of seeds. As a plant grows some of the terminal buds turn into leaves, and others turn into flowers. From a gardener's standpoint, flowers are beautiful to look at and to smell. From a plant's standpoint, they exist solely for the purpose of reproduction-the show of color and lovely fragrance is purely to attract pollinators. While the pollinators get nectar from the flowers, they transfer pollen from the stamen (the male part of the flower), on to the pistil (the female part of the flower) and the flower is fertilized. (Occasionally, the male and female parts are found on separate plants.) After fertilization, the flower produces either fruits or seed heads containing the seeds. When the seeds are "ripe", they are transported by gravity, wind, or water (and occasionally animals) and dropped at another spot, where they begin the cycle over again. Plants can also reproduce by vegetative means, either by sending up new shoots from roots or stolens, or by forming small bulbs. When plants decide to put most of their energy into reproduction, sometimes it's best to redirect their energy. For example, if you are trying to encourage a large harvest of fruits or flowers, you may want to chop off suckers coming up from the roots, or remove the seed heads from plants that have flowered in order to keep your plants focused on growing vigorously.